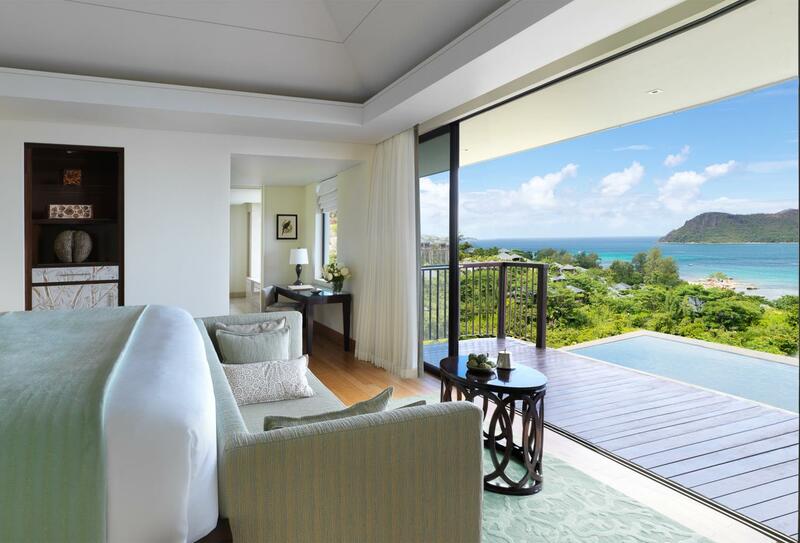 Raffles Seychelles is situated on a paradise island location amidst tropical gardens on a white sand beach. 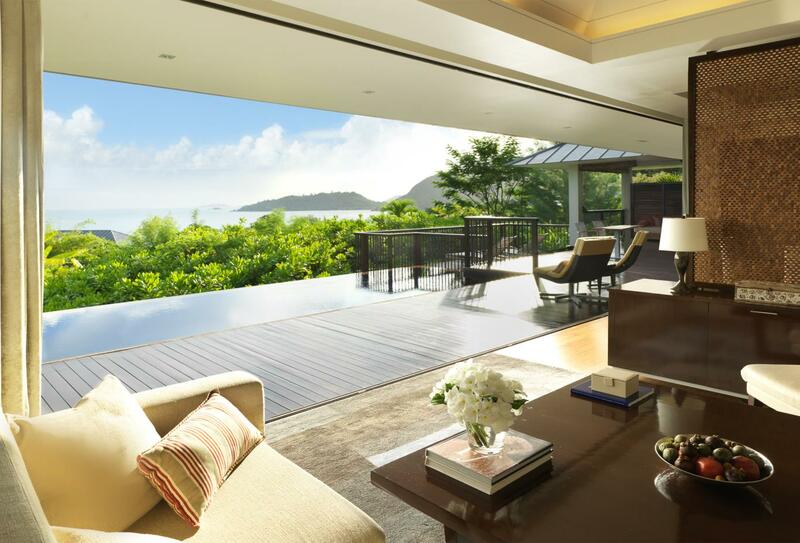 There are 86 villas serviced by the signature 24-hour Raffles Butler Service and each has a plunge pool options, outdoor rain shower and pavilion. 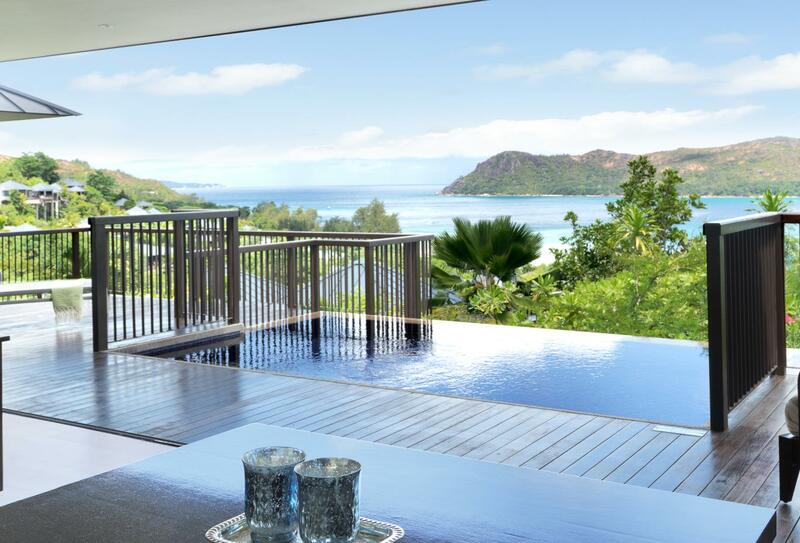 Guests will find a spa, gym, six bars and restaurants and a selection of land and ocean sports. Dining options include Sushi, Asian and Indian Ocean cuisine. Arrival by 15-minute shuttle plane from Mahe is a highlight here. 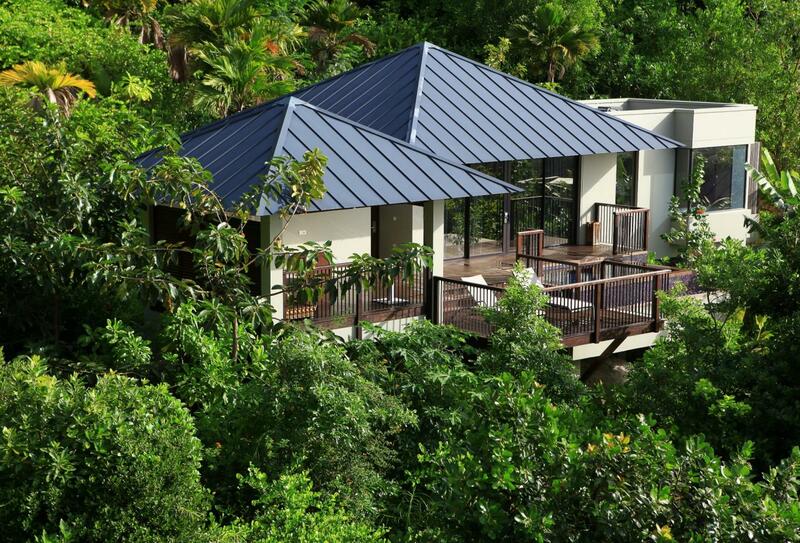 This pool villa has an outdoor pavilion with private plunge pool, dining table and day bed. 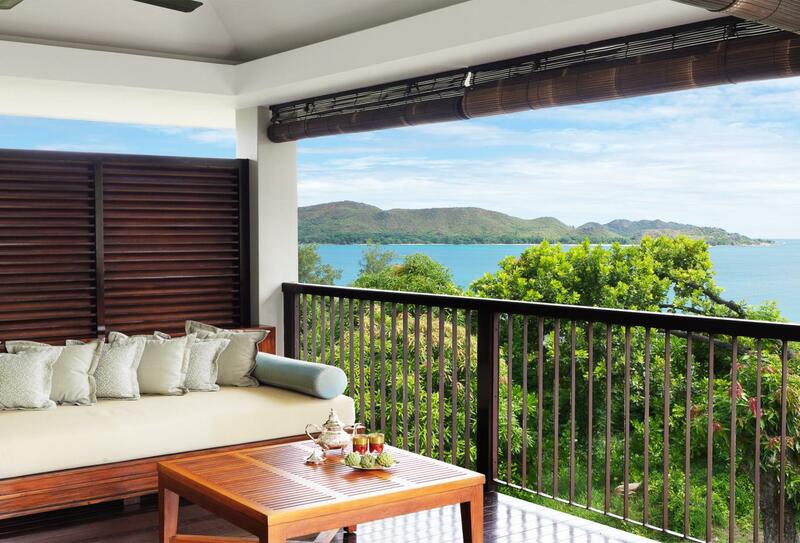 This villa has a bath with views, an outdoor pavilion with dining table and day bed and a terrace with a plunge pool. 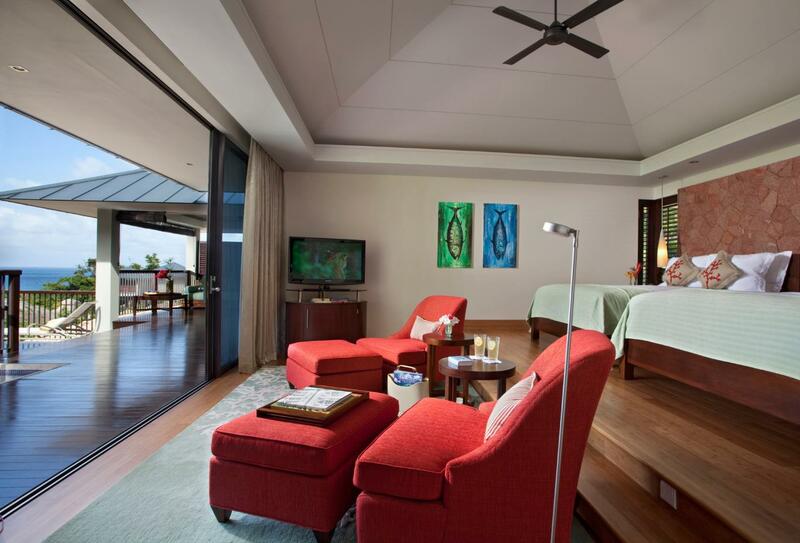 This pool villa has unobstructed views of the Indian Ocean and has an indoor and outdoor shower, an open-air balcony with pavilion overlooking the plunge pool. 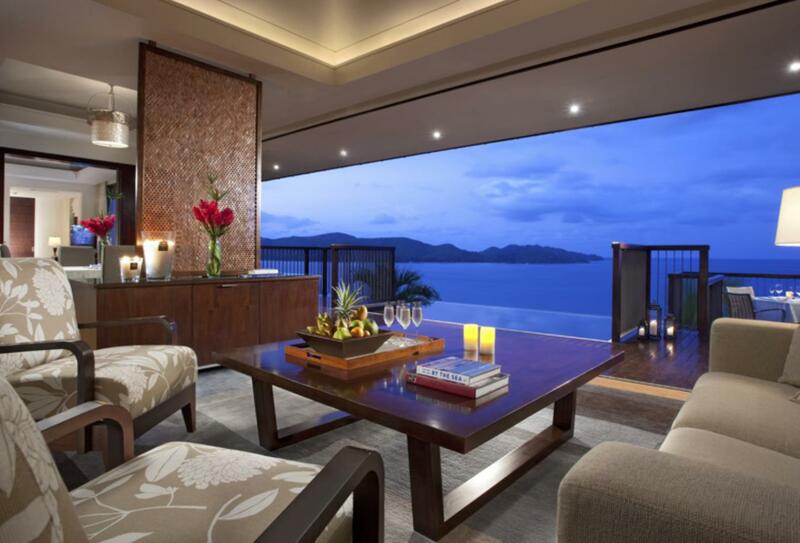 This villa has a living room and separate bedroom. Outside is a terrace and pavilion with plunge pool. This villa has a living room, a kitchen area and separate bedroom and the private plunge pool is 14 square metres and has an outdoor rain shower. 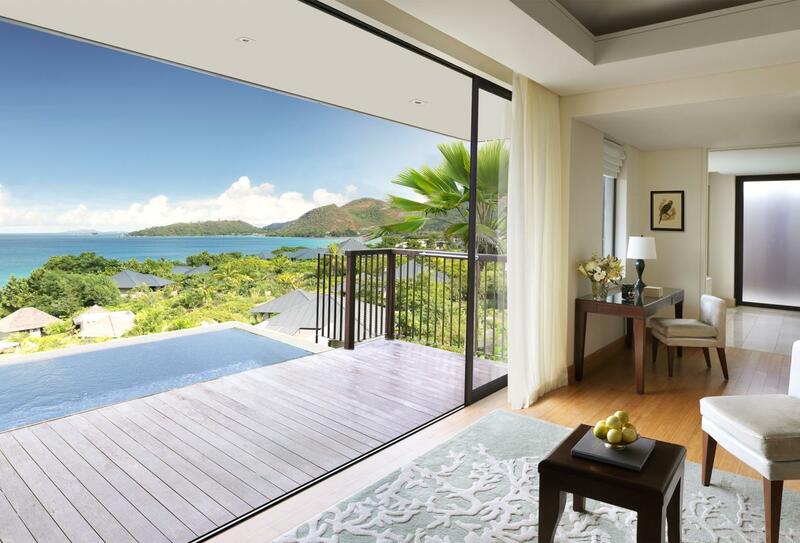 This villa has two separate bedrooms, indoor and outdoor rain showers, kitchen, plunge pool and an open-air balcony with sundeck chairs. 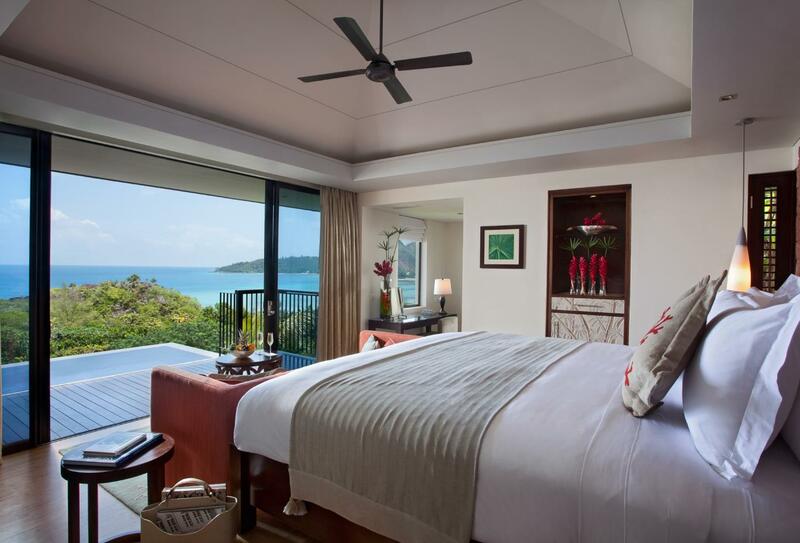 Raffles Praslin is retreat worthy of meeting any couple’s dream honeymoon expectations. Half board and Full board are available upon request. This lounge serves wines, rums, spirits and tropical cocktails as well as the famous Raffles cocktail. There is also regular live entertainment. Open in the evening. 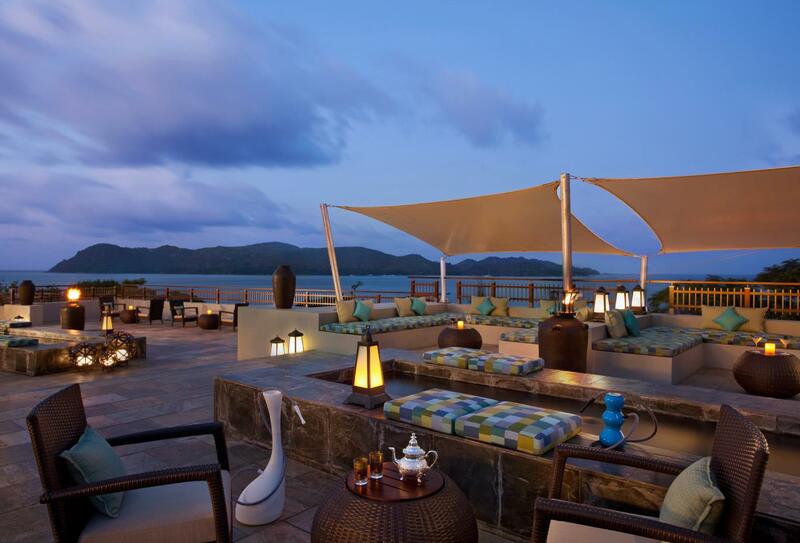 Takamaka Rooftop Lounge offers views across the ocean. Enjoy cognacs, whiskies, wine and signature Raffles cocktails and flavoured shisha. Open 18.00 to midnight. Losean Restaurant features breakfast classics and a modern à la carte dinner menu. Open for breakfast and dinner. This Pool Restaurant & Bar serves salads, sandwiches and international classic dishes as well as sushi and sashimi. Open for Lunch. Offering Pan Asian cuisine from India to South East Asia, Curieuse Restaurant presents specialties from Indonesia, India, Thailand and Vietnam. The Sushi Room at Curieuse serves a variety of contemporary sushi and sashimi. Open for dinner. 24hr in villa dining, outdoor dining in your favourite location, formal dining for special occasions or a BBQ feast in villa. Open for breakfast, lunch, dinner and night times snacks. Praslin is the second largest granite island in the Seychelles and lies 25 miles from the mainland of Mahé. 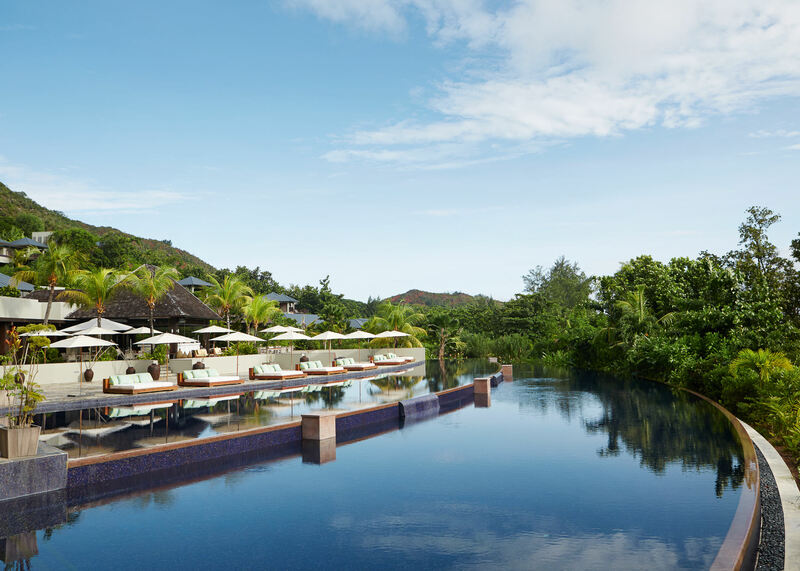 Guests typically arrive at Raffles Seychelles by shuttle plane from Mahé to Praslin, taking 15 minutes although a ferry, private boat or helicopter are possible. 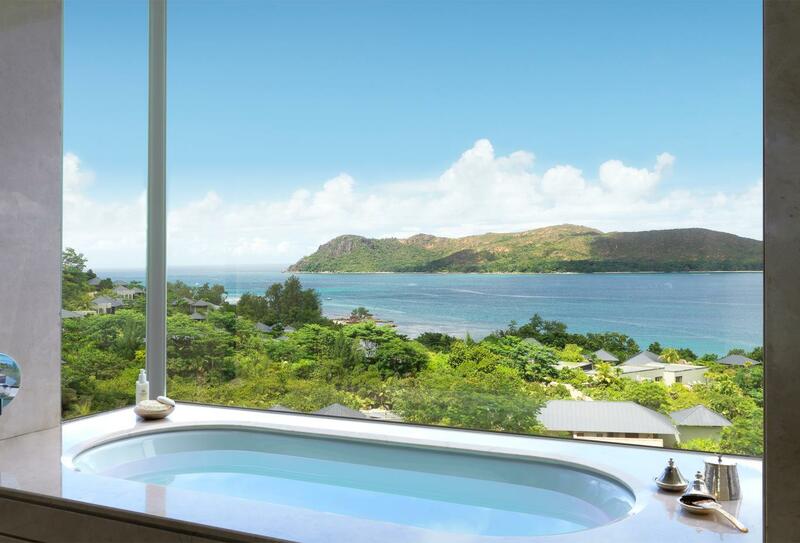 Raffles Seychelles welcomes families with children of all ages and offers the following facilities and services to ensure they have an enjoyable stay. For toddlers, children and teens offering daily programmes, games, activities and an amphitheatre where the recreation team ensure a varied programme of activities.